I recently read an interesting study regarding the impact of good client management on business. Following some research, I discovered the source of the study: an article listing 75 facts about customer service. 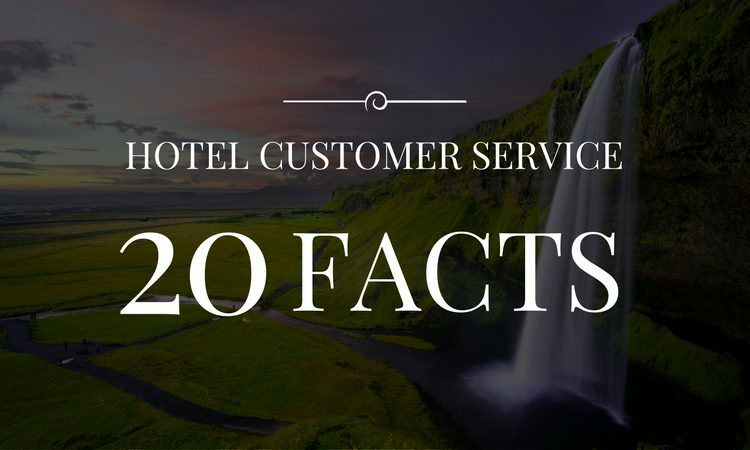 Some of these facts seemed fascinating to me, while others struck me as less pertinent to the hospitality industry. Thus, I have prepared for you a brief compilation of the most relevant of these facts. Since these are general statements, it is necessary to interpret them. In this section, therefore, you will find some of my thoughts and conclusions regarding the statistics cited. 1. 78% of consumers have bailed on a transaction or not made an intended purchase because of a poor service experience. 2. 70% of buying experiences are based on how the customer feels they are being treated. An unclear booking engine/website, making the booking process confusing or complicated. 3. It is 6-7 times more expensive to acquire a new customer than it is to keep a current one. It is essential to invest in a true customer loyalty strategy. In short: get your guests’ full contact information, offer them a remarkable experience, and finally, after their departure, maintain regular contact with them. 4. In 2011, 7 in 10 Americans said they were willing to spend more with companies they believe provide excellent customer service. 5. Almost 9 out of 10 U.S. consumers say they would pay more to ensure a superior customer experience. The two points cited above allude to customer service and experience. While they show similarities, these two points do remain different. Service is only involved during an interaction between you and your client (following a request made by the client). Experience, on the other hand, is much broader and more comprehensive; it includes everything that the guest lives through and feels, from booking through departure from the hotel (or even beyond, if you maintain good contact with him/her). Are your guests really telling you what they think? 6. A typical business hears from 4% of it’s dissatisfied customers. 7. For every customer who bothers to complain, 26 other customers remain silent. Here we have a widely suspected circumstance, but one which, accompanied by such evocative numbers, becomes much more concrete. The only way to know about the little mistakes made in your hotel is to actively question your guests. Without a proactive approach, too many slight inconveniences may fall through the cracks – but could, unfortunately, make it to the internet. 8. 24% of American adults have posted comments or reviews online about the product or services they buy. Which means that 76% don’t! Don’t assume, therefore, that your guests will post feedback on your hotel… unless they are truly, cleverly pushed to do so. 9. It takes 12 positive experiences to make up for one unresolved negative experience. In other words, where the impact on your reputation is concerned, you need to get 12 positive comments just to compensate for the damage caused by one unresolved negative experience. 10. News of bad customer service reaches more than twice as many ears as praise for a good service experience. 11. Americans tell an average of 9 people about good experiences, and tell 16 (nearly two times more) people about poor experiences. 12. 91% of unhappy customers will not willingly do business with you again. There is nothing to add here; the numbers speak for themselves. You absolutely must do everything possible to prevent dissatisfied guests from leaving your hotel upset or disappointed. The situation must be detected and resolved before their departure. The key to success in hospitality depends on one essential result: having 100% of guests be highly satisfied. Moreover, knowing that 27% of reservations originate from word of mouth, it is even more important to ensure high standards for the satisfaction of all guests. 14. 80% of companies say they deliver “superior” customer service. These days, customer service is the new marketing. Entrepreneurs and experts alike have noticed this and are talking about it. We are seeing old trends fade away or be wiped out altogether. And yet, one of the main foundations of marketing lies in the analysis of statistics, not opinions. You must never come to the conclusion that your service is of high quality because you have “done what you needed to do.” The only valid data is that communicated by your guests – and it is quantifiable. NOTE: Never believe that online reviews represent the general opinion of your guests. They represent only a small portion of your clientele. You need feedback from all of your guests in order to reach the right conclusions. 15. Resolve a complaint in the customer’s favor and they will do business with you again 70% of the time. Do you think that offering a free breakfast or upgrade to appease an embittered guest costs you money? Change your point of view! In fact, 70% of these business gestures and compensations end up earning your client’s loyalty or cause him/her to speak well of your hotel. Whether or not you are truly in the wrong is irrelevant. 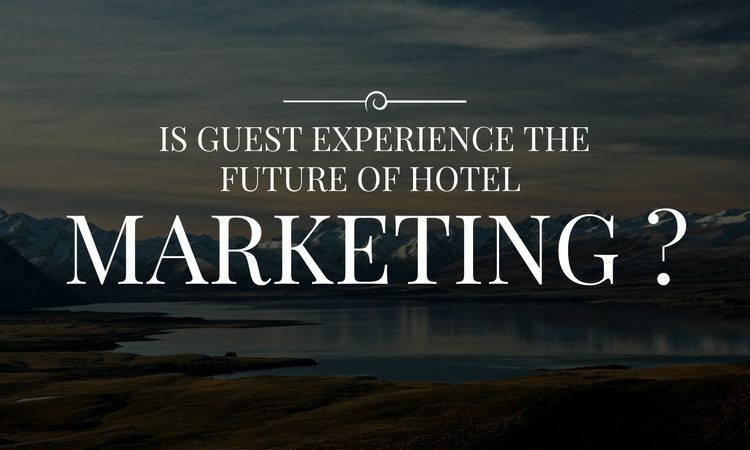 The benefits of a positive experience for your guest (without, however, underselling the products and services of your hotel) are so fruitful over the long term. 16. 41% of consumers expect an e-mail response within six hours. Only 36% of retailers responded that quickly. A very simple little tip to convey the image of a hotel that takes extremely good care of its guests: reply as quickly as possible to their e-mail requests! 17. 81% of companies with strong capabilities and competencies for delivering customer experience excellence are outperforming their competition. As I have often repeated in the many articles I write, invest in your staff so that they will be able to offer an extraordinary experience to each and every one of your guests. These statistics are particularly instructive. 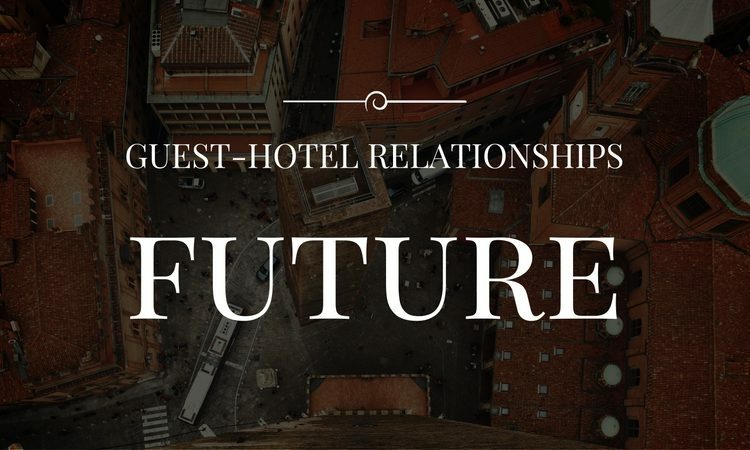 Most of them show a concrete link between your management of client relations and your hotel’s revenue. Whether the results are seen in the number of bookings, word of mouth, guest loyalty, or a drop in negative feedback, the quality of your customer service is indeed a key factor in your success.